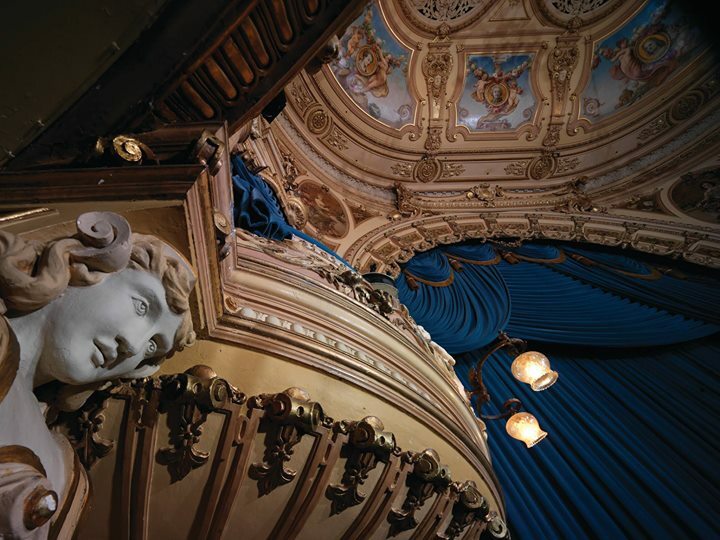 Blackpool Grand Theatre – For 125 years our beautiful Victorian Theatre has remained at the heart of Blackpool. A surprising gem of a building holding its own amongst all the glitz and glamour of a major seaside resort. The Grand has had its triumphs and disasters, survived threats, take overs and neglect but is still standing as a testament to those who have loved it and fought for its survival. Who would have thought that a young clerk from Penwortham called Thomas Sergenson would take a job at The Prince of Wales Baths on the promenade and, with no theatrical experience end up running the Prince of Wales Theatre and investing his money in parcels of land on Church Street because this “Showman” had fallen in love with the idea of building and running his own theatre? What ambition he had to hire Frank Matcham, the finest architect of the Victorian era, to fulfill his dream with curving sweeping balconies and a riot of fibrous plasterwork – his masterpiece in a unique town. From these beginnings in 1894 the theatre flourished and a change of ownership to The Tower Company in 1909 continued its success. Unfortunately, in 1929 all theatres were hit by the arrival of “talkies”. The Grand met the challenge head on by becoming a cinema for about 36 weeks of the year before the wheel of fortune turned and live theatre became popular again as we entered the war years. Blackpool was teeming with forces personnel, re-located civil servants and refugees all hungry for entertainment. Many London theatres had suffered bomb damage and producers were looking for a safe venue to open their shows. The Grand was ideal and all through the 40s the greatest stars and most prestigious productions played the theatre to huge box office success. However, times were changing, audiences began to decline, and the arrival of television created another challenge for the theatre. As ever the Grand had to adjust and, although the golden days had gone there was a renewed interest in live theatre in the 60s and some big names were still coming out on tour. In 1968 the E.M.I. company bought the Tower Company Empire and, for the first time the owners were not committed to the success of the Victorian Theatre. In 1972 they closed it and announced that it would be demolished to make way for a Littlewoods’ Store. Luckily Jeffrey Finestone saw the writing on the wall and got it Grade 11 listed and the original Friends of the Grand decided to fight for the theatre’s survival, a rather unique decision at the time! The epic struggle went from Public Enquiry in 1973, at which the Friends were successful, to 4 years of secret negotiations until in 1977 a compromise was reached. If “The Friends” soon to become The Grand Theatre Charitable Trust, would not oppose the Bingo License they could have an option to purchase the building for £350,000. Fund raising began and after a £100,000 reduction in the price the theatre was bought in 1980. 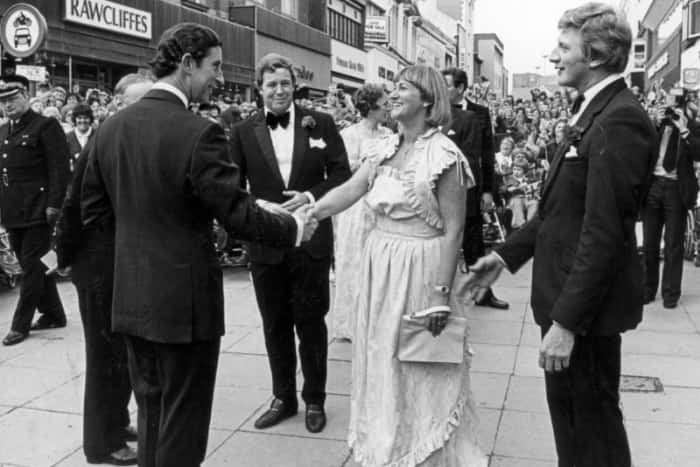 The theatre was re-opened in 1981 with an Old Vic Company production of “A Merchant of Venice” with Timothy West and Prunella Scales and officially opened at a Royal Gala with HRH Prince Charles. 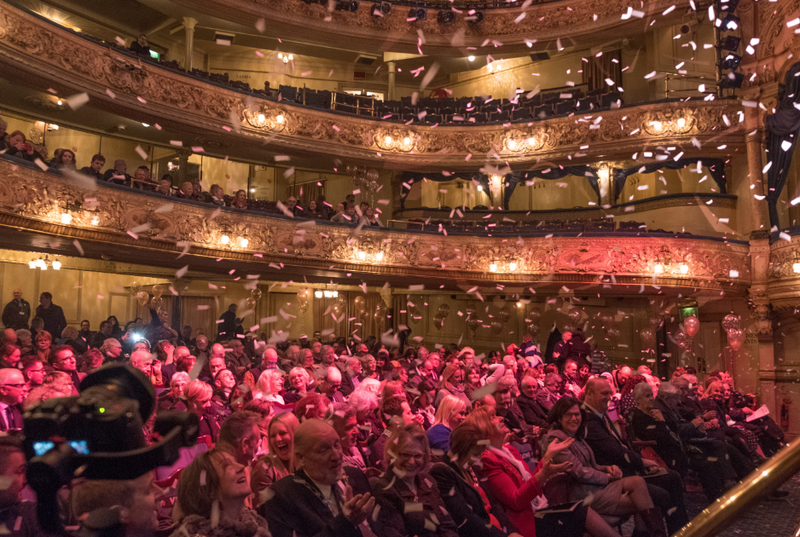 The Grand Theatre Trust Company has owned the theatre for nearly 40 years during which there has been huge activity. As well as essential maintenance to the “Grand old lady” there has been a genuine commitment to restore the building to its 19th century splendour whilst making it more acceptable to today’s audiences. There are more toilets, greater leg room and canopies to shelter from the rain as well as extra dressing rooms, office space and a studio theatre. Our latest project has been to purchase shops and offices along Church Street, part of Matcham’s original footprint but not included in the 1980 sale. The building is now listed as Grade 11*. There is much to celebrate as we look back over 125 years. So many iconic buildings have been lost to us but the Grand weaves a magical thread from the golden age of Blackpool to the renewed excitement and dynamism of the modern town. We look forward to the opening of the Museum and the Council’s plans for the Central Station Site but for now we have some celebrating to do. As we write this the theatre launches its Anniversary 125th year. It is your theatre, proud and beautiful and resilient. We’ll see you there!!! If you would like to donate to the theatre’s 125th Anniversary Appeal ‘The Dome’ here’s how you can. Support us with a simple donation, purchase one of our 125 Year Lapel badges, Join our 125 Club, Purchase a ticket to the BIG 125 Draw with a chance to win £5,000 or come see a show.